Ruurd started his career in Loss Control, at SAMANCOR (Batlhako Mine & Works), after completing National Diplomas in Production Management and Organisational Effectiveness at the Technikon Pretoria in 1991. On 1 June 1993, he furthered his career at the then Technicon Northern Gauteng as SHE & Workstudy Officer. After the merger in 2004, of the then, Pretoria Technicon, Technicon Northern Gauteng and Technikon North West, to form the Tshwane University of Technology, he became the SHE Manager, a position he still holds today. Ruurd has 24 years experience in Occupational Health, Safety & Environment Management and has trained thousands of staff and students in Health and Safety. Apart from the various SHE training courses, including SAMTRAC, that he attended, in his career, he also holds a Higher Diploma in Occupational Health and Safety Management, obtained through NOSA in 1999. In 2009 he completed a B Tech: Business Administration degree through UNISA. Ruurd is registered as a HR Professional: Safety Health & Environment by the SABPP. Lehlo is passionate about Health and Safety. He did a diploma in Public Management (1995-1997) at Mangosuthu Technikon (now MUT), and later began working at the Natal Technikon (now DUT) as Admin Assistant while studying for his B-Tech in Public Management. When he was promoted to Residence Officer and served as health and safety rep, he developed a deep interest in safety. In 2008, he was appointed as Safety Officer for DUT, and completed his Project Management and SHEMTRAC courses. In 2010, he was promoted to Manager/Specialist: Health and Safety. 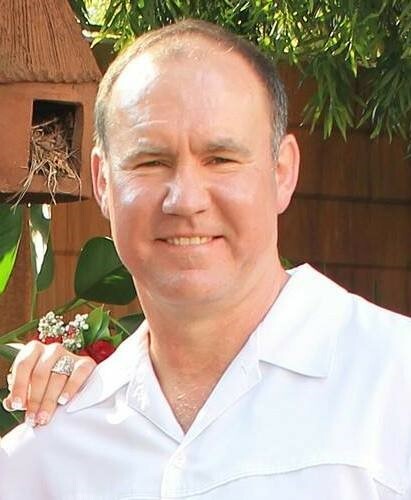 In 2012, he graduated with a Safety Management diploma and in 2013, an Assessor qualification. He registered as Associate Member and ROS Practitioner with the Institute of Safety Management, and is also registered with ETDP and HWSeta. I started my career in 2004 at the Department of Health Region C. From there I obtain the position Senior Safety Officer at the National Department of Water Affairs and Forestry from November 2004 – February 2008. Joined Eskom for a short period of time. I am employed at the University of Johannesburg from 2008 and held the position: Occupational Safety Practitioner: DFC. I completed my National Diploma: Environmental Health in 2004 that was obtained at the former Technicon Pretoria currently TUT. I completed a number of Safety related short courses through numerous training companies. I obtain my B-Tech: Environmental Health in 2015 at UJ. I am primarily a registered nurse by profession since 1982. In 1999 I started specializing in Occupational Health where the emphasis shifted from pure patient care to employee health and wellbeing. In 2009 I started working for the University of Pretoria where I established an Occupational Health Centre for employees where all employees are subjected to a medical surveillance program depending on the occupational hazards and risks they are exposed to during the course of their work life. Being part of the academic environment, I enrolled as a student in 2012 and completed a B Cur I et A with majors in Nursing Education, Nursing Administration and Industrial Psychology in 2014. People should be empowered with the relevant information, knowledge and tools to be able to make responsible choices and take care of their own health, the health and safety of their fellow workers, as well as emergency situations they may encounter. Throughout my professional life it became second nature to educate and train people regarding health and safety issues in order to ensure an optimal state of health and wellbeing within the working environment and larger communities. This platform provides an ideal opportunity to involve all Occupational Health and Safety practitioners in Tertiary institutions to share information and experiences that may help others to improve their own situations. Kobus has 20 years experience in the Health and Safety industry. He started his career in Safety as a Safety Officer for Barplats refinery, working there for 3 years. He then became Regional Risk Manager for PG Bison for 6 years. Kobus is currently the Head Occupational Safety Coordinator for the University of Johannesburg and has been employed at UJ for the past 11 years. Kobus holds a Health and Safety Management Diploma, a Security Management Diploma and various certificates in the Health and Safety field. He is a member of the SHECASA Executive for the past 3 years. Samuel holds the following permanent position at the University of the Western Cape (UWC): Co-ordinator Health and Safety Compliance. Qualifications: Dip in Security Management, Certificate in Forensic Examination, Dip Safety Management and various short courses in Occupational Health and Safety, Construction Regulation & Events Safety Management. He strives to deliver good results and value to the community he serves. He was also the S.H.E department manager at UWC for 18 months and implemented various strategic interventions to address health and safety matters. In 2014 Samuel led the largest UWC group yet, to attend SHECASA and engage in positive presentations and dialogue of the health and safety landscape within the higher education sector. Samuel was a member of the University of the Western Cape Council for two terms and therefore has a strong understanding of the Higher Education landscape. Further to that he also served on Sizwe Medical Aid Fund and the UWC Provident Fund as a member trustee. Samuel has a broad understanding and experience to match on risk assessment and on Event Safety Management processes and compliance as per numerous acts and legislation. With this said, Samuel would like to contribute to the education of shared knowledge around the topic of health and safety in relation to the higher education and other such spheres. You would find his contribution to be insightful and enlightening as to emancipate the reactive notion of many higher education institutes. 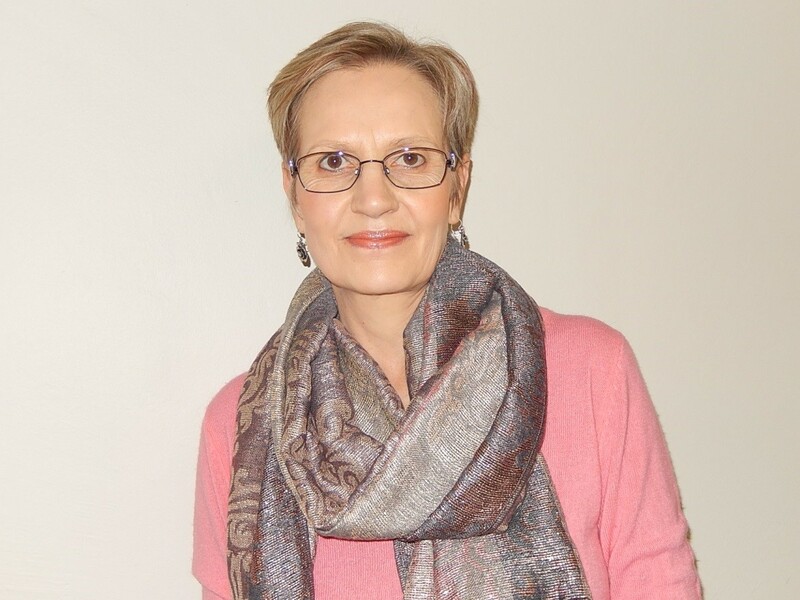 Cynthia qualified in both Diagnostic Radiography and Nuclear Medicine from University of Johannesburg (Former Technikon Witwatersrand). She worked in a clinical set up as a Diagnostic Radiographer for 7yrs and as a Nuclear Medicine technologist for 3 yrs. Worked as a Radiation Inspector for Department of Health: Radiation Control for 9 years; ensuring that licence holders and authority holders comply with the Hazardous Substances Act, Act 15 of 1973; and the Regulations for Group III and IV Hazardous Substances and Conditions attached to their licences and authorities. Currently employed as a Radiation Control Officer for the University of Pretoria; ensuring that the university complies with the Act, the relevant Regulations, Licence/ Authority Conditions. OHS Manager at VAAL UNIVERSITY OF TECHNOLOGY with an in-depth experience in the implementation of SHEQ Legal Compliance. I started my career as a Meat Inspector at Bull Brand Enterprise under the Department of Agriculture. I then moved to Gauteng South Department of Labour as a Team Leader for the Occupational Health and Safety division for 4 years. I then joined JOY GLOBAL AFRICA as an Environmental Health and Safety Practitioner until further promoted to an EHS Specialist. Qualifications: I have a B –TECH Degree in Environmental Health obtained at University of Johannesburg, National Diploma in Environmental Health obtained at Tshwane University of Technology, Total Quality Management Certificate, Business Management Certificate, SAMTRAC, OHSAS 18001 Lead Auditor, EMS ISO 14001 Lead Auditor and various short courses in Occupational Health and Safety. My work experience has granted me the theoretical basis, understanding and appreciation of the relevant challenges that the position is faced with. I am team player, smart, analytical and a hard worker. Ability to build good relations with people. Goal and results orientated. Passionate about what I do (my work). Snegugu is an Occupational Health and Safety Manager for the University of KwaZulu Natal. Before she joined UKZN in 2012, she worked for BHP Billiton in Richards Bay for 4 years, both as an Operator and Safety Facilitator. Snegugu also worked for the Department of Education as and Educator and HOD from 1995 until 2008. Apart from a Teaching Diploma, which she obtained in 1994 and a Bachelors in Business Administration in 2015 she also has various other diplomas and certificates, e.g. Specialist Operations Management, SAMTRAC, Labour Law, ISO 14001, OHSAS 18001...etc. Snegugu is currently enrolled for a Post Graduate Diploma in Occupational and Environmental Health. Snegugu is well conversant with the Occupational Health and Safety field and consistently develops her career and keeps abreast by attending short courses that relates to Occupational Health and Safety. 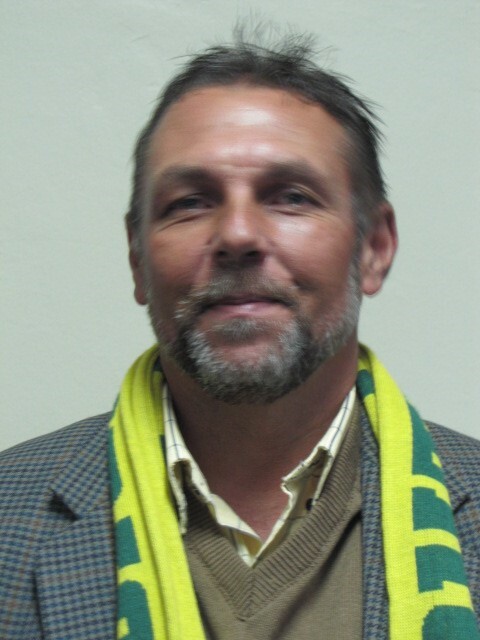 Johann Gerber is the Senior Manager: Health Safety & Environment at NMMU. 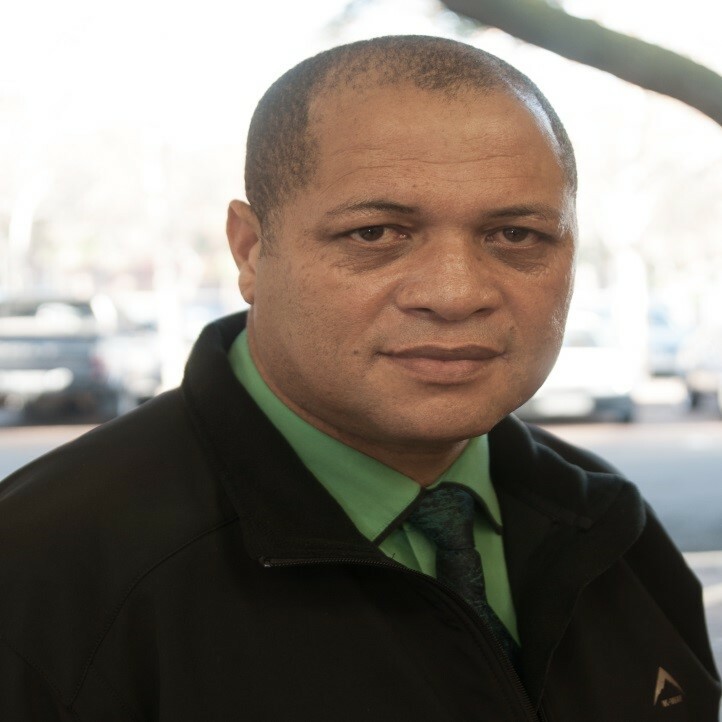 Johann has a Masters Degree in Environmental Management from the Nelson Mandela Metropolitan University and has over 10 years experience in the Safety, Health and Environment Industry. As a SACPCMP registered Construction Health and Safety Manager Johann also worked for almost 3 years on an international construction project within the Energy Sector, building two Power Stations. 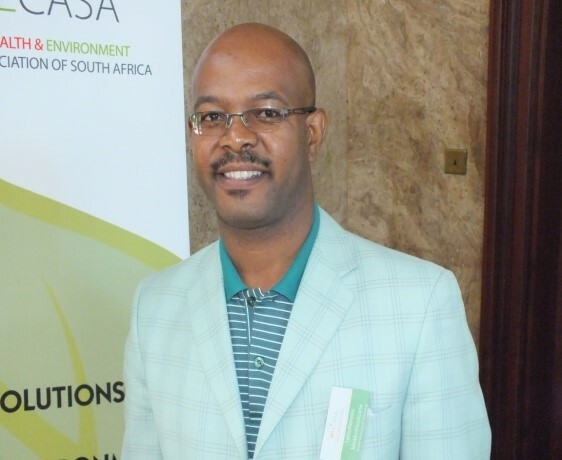 Johann is qualified as an Occupational Hygiene Technologist, registered with SAIOH and was recently elected as the Chairperson of the SAIOH Eastern Cape Branch.